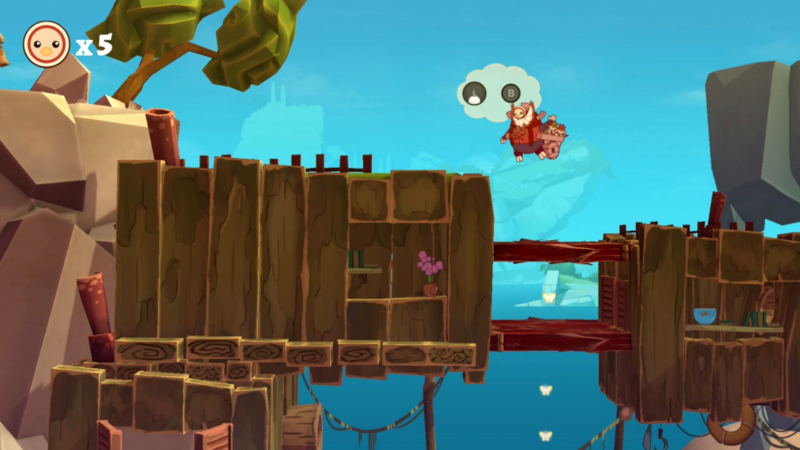 Shu is a 2.5D Puzzle-Platformer (first released in late 2016) coming to Nintendo Switch. After his village is devastated by the Storm Shu flees for his life through multiple worlds, allying with survivors who offer unique powers- in search of sanctuary and a way to stop the Storm. Can you outrun the end of world? 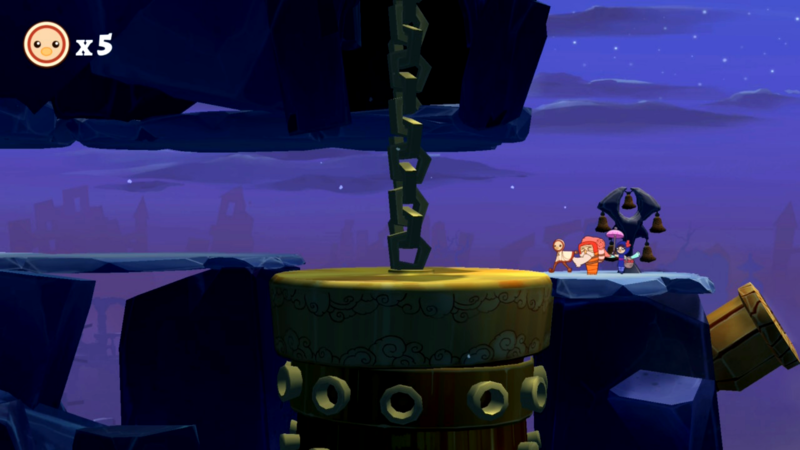 Shu opens with a short cutscene; Storm attacks and destroys your village before flinging you into the gameplay. The opening conveys what needs to be said without words, everything from the power of your foe to the weakening notes of the villagers. There is a lack of movement however, most of this scene would be better described as a slideshow, rather than anything overly complex visually. Speaking of visuals, Shu is presented with various depths between characters, items, obstacles, and landscapes. Your avatar is flat with block color and while this does provide decent clarity between characters and backdrops it does end up looking a little unfinished, an issue present with most of the main characters. Storm is impressive visually; contorting and deranged, whenever it appears its manic animation looks convincing and intimidating. The rest of the characters however seem unfinished in comparison- the oddness of their visuals at times look more like a lack of artistic skill rather than stylistic choice. Shu as the main avatar also lacks any overly complex default animations. Checkpoints kind of shrug you off with no big deal made, and gaining extra lives could also be delivered with a bit more punch- given the importance of both of those things. I think overall the game could benefit from a more polished set of avatars and a few more visual effects without sacrificing the clarity and contrasting imagery. The gameplay is fast and fluid, for the most part. Levels are paced exceptionally, showcasing enough character and individuality without dragging them out for an unwelcome amount of time. Every world is unique and the game overall not only has a decent playtime, but very good replay value for those who enjoy collectable or time related challenges. You’re never needed in a particular section too long, but you’re there long enough for the area to not feel out of place or wasted. Shu takes the strange habit many gamers have of habitually jumping out of boredom and instead turns into a strength, improving long stretches of road with channels of wind the player can sail through to progress- never keeping you on flat turf for too long. There are enough roads and secrets for the stages not to feel like simple paths, and rewards are there for those who choose to explore. If you prefer to breeze through a stage however you’re free to do so, the speed of the movement is rarely hindered by anything intentional. At points the game tries to make precise sequences that end up frustrating due to some sloppy and inconsistent interactions, as well as a camera that doesn’t pan over to an immediate threat quick enough. 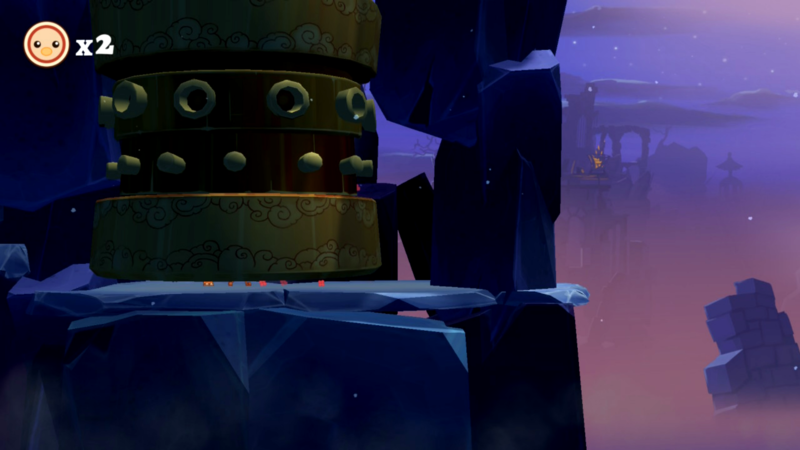 A sudden panicked platforming rush or chase can be a truly exhilarating moment in a game but can quickly turn sour and unrewarding when your avatar gets randomly stuck on the side of ledges, or when the one-shot threats don’t hold consistency. If you absolutely have to have one-shots in your games it’s best they only punish a player due to their own skill, not because one thing that killed them before suddenly decides to bug out and doesn’t finish the job another time. Sloppy platforming that sticks you to a wall or brings you to a grinding halt on flat surfaces also shouldn’t punish a player, and there could be a few less cheekily hidden hazards, so Shu needs to be a little tighter in these areas for it to really show its best potential. Shu runs well in both handheld and docked mode from my experience, I experienced minimal frame drops, but the game did outright crash and close at one point. For some reason a few symbols present on PC have been removed in the Switch version, and one tutorial image led to confusion rather than an actual answer because of how bizarrely it was drawn. The game will generally only hold your hand only if you ask it to, so players are free to learn many things in a more subtle manner. There is also some confusion with the controls menu which could be fixed, as it looks like the game is telling the player that jump is mapped to the control stick rather than the A button. The audio in the game is worthy of high praise. Shu boasts an original soundtrack that would fit in almost effortlessly with a much larger budget game. The music manages to balance tranquility and uncertainty perfectly; each chime, rush, strum, and thump powerfully delivers the atmosphere of the world with confidence- letting the player know life is merely on a timer. The notes rock back and forth at a pace that endlessly weaves contradiction together; conveying hope and peril, peace and dismay. Never allowing me to feel safe in knowing which outcome to believe. When the game is almost silent Shu doesn’t break the atmosphere it’s worked hard to paint, the lack of noise creating a pressure that only deepens the immersion within the world, rather than sounding cheap or unfinished- like some other games would in a similar situation. In addition; the music follows suit with the gameplay and paces itself well to avoid repetition, while maintaining strong character. The weakest aspect of the sound design would probably be the bizarre and uncomfortable noises the companions make, to the point I actually would have preferred ending a level sooner so I didn’t have to constantly hear the uncomfortable moaning. At times the game will be a bit too loud compared to a previous situation, something that could have been simmered down without losing the intended impact of the volume. Shu is a surprisingly sturdy game and fits perfectly on the Switch. It appeals to a handful of playstyles and is a good showcase of what a passionate Indie studio can accomplish. It’s obviously got some shortcomings but a lot of these feel like they could be fixed if the studio chose to do so. Controls can be a little tighter, especially with some of the abilities, and some of the main animations could be improved. The soundtrack is brilliant and the worlds are wonderfully bold. Nearly every aspect of the game drives home the intended tone exceptionally well, and the chase sequences actually got a proper scare out of me. Combined with good replay value I can see myself picking up Shu again in the future, at home or on the go. Shu is out on Nintendo Switch January 23rd. Thank you to CoatSink for providing this copy for me to review. If you have any comments you can leave them below or tweet me @mattiasmay. Thank you for reading!